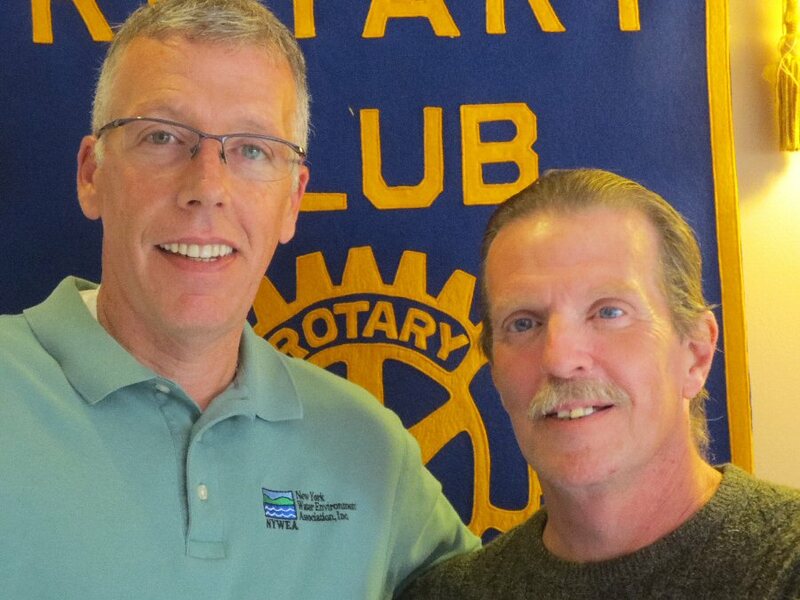 FULTON, NY – Rotarian Dan O’Brien recently introduced Fulton Common Council President Jay Foster to the Fulton Noon Rotarians. Jay and his family purchased a home in Fulton at the corner of Fifth and Buffalo streets in 1968 and have lived there since. Jay represents the Fifth Ward on the Fulton Common Council. Jay started the first neighborhood watch group in 2005 when he witnessed someone allegedly selling cocaine in his front yard. He then ran for the councilman’s position and won. In his first year on the council he was diagnosed with cancer. He received much support from the community in his fight with cancer. The fight made him a stronger individual. He says there are many problems in Fulton, but he always promotes a positive attitude and keeps on working to solve the problem. He says he is constantly trying to improve the quality of live in Fulton. The Rotary Club members are interested in community service and appreciated Jay’s work in our community.